Here are a few tips to help you avoid getting a windshield crack or chip in San Diego. Most of us who regularly drive on the streets of San Diego have had a small crack or chip appear on our windshield at one time or another. These small cracks can distort your vision and eventually spread resulting in the entire windshield having to be replaced. Big trucks can send small rocks flying which can cause windshield damage. You can decrease the chances of being hit by stray debris by keeping a few car lengths behind the vehicle in front of you on both inside streets and San Diego freeways. Cargo debris can also fly off the back of trucks and other vehicles. Keep a safe distance away from other vehicles on the road which don’t appear to have their loads safely secured or covered. San Diego doesn’t experience hail storms too often but all it takes is just once incident in order to damage your windshield. Severe weather can lead to airborne rocks, debris and objects flying in the air. If you find yourself in a hail storm try to get off the road and park in a covered position until the storm ends. 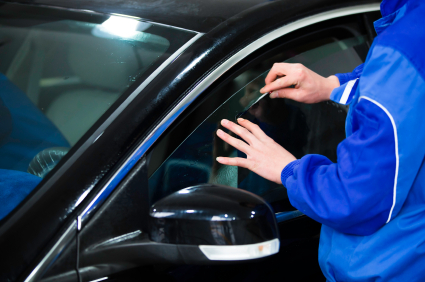 Need auto glass or windshield repair in San Diego? Contact us today for a free estimate.